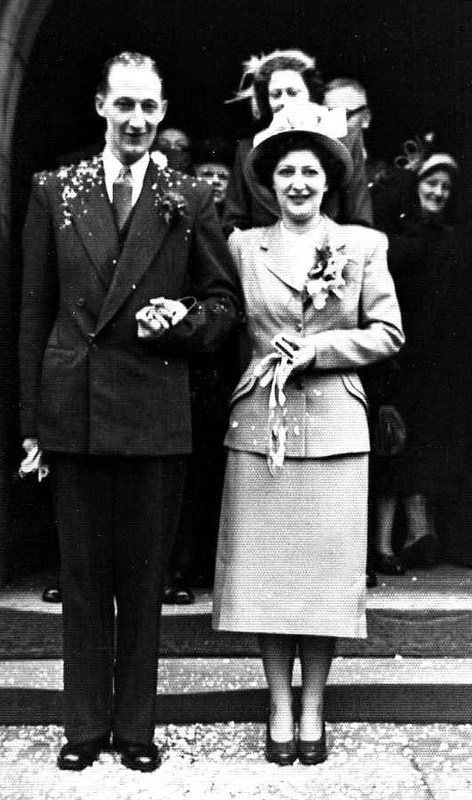 At the end of his army service in 1946, Ray returned to the UK and Fleetwood in Lancashire taking a period of leave before returning to work for the LMS Railway Company. An LMS 'Black 5' Loco on the KWVR in 1970 (MR photo). After leave at the end of his army service, Ray returned to work on the London, Midland and Scottish Railway and was offered a Traffic Apprenticeship; a period of training in a broad range of railway operating roles. He spent time and the Locomotive depots at Camden (London) and Edge Hill (Liverpool). 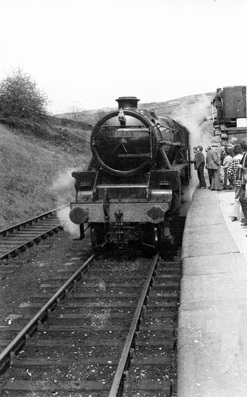 He retold during this period of training firing almost single handed, an LMS Class 5 locomotive (see photo left, an example of the type), working a semi-fast passenger service from Euston to Liverpool he moved about 6 1/2 tons of coal during the journey. As part of the requirements of his training, while based at Edge Hill on Merseyside, he wrote a report of his time there, the duties he carried out and his recommendations for improvement. A copy of the report survives among his papers. Britain's railways were nationalised on 1 January 1948 and became British Railways. _During his training, Ray attended the aftermath and inquiry into a serious railway accident which occured on the West Coast Main Line at Winsford in Cheshire on 17 April 1948, when a Glasgow to London Euston train was stopped after the communication cord was pulled by a passenger (a soldier on leave who, living near Winsford, wanted to leave the train there after it had been stopped). The stationary train was then run into by a postal express following behind which was hauled by LMS Coronation Class 4-6-2 No 6251 City of Nottingham. 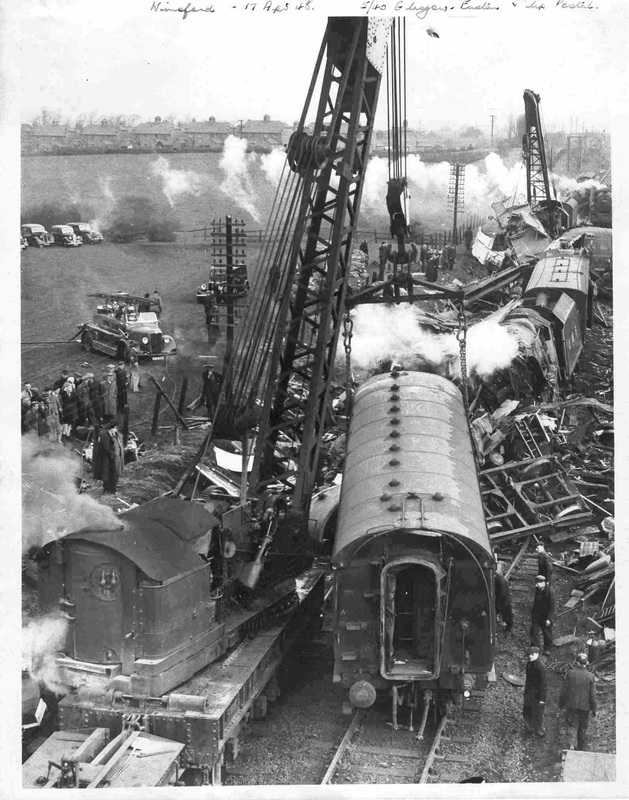 The collision happened at between 40 and 45 mph and was so severe that only five of the ten passenger coaches could be pulled away on their wheels and only the rear eight of the 13 postal train coaches could be drawn back. Sadly 24 passengers lost their lives. 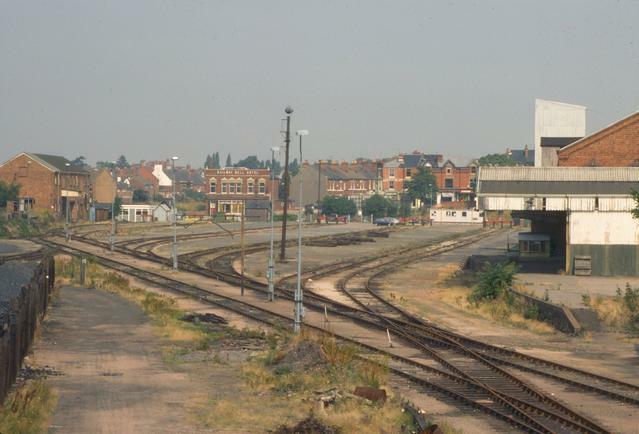 The accident was caused by the signalman at Winsford station accepting the postal train without seeing the passenger train clear of his section. The soldier who pulled the emergency cord was a railway employee who had worked in the signalbox at Winsford, but was serving in the army on war service. Because of his familiarity with the signalling equipment in use, he assumed that the train would be safe and be protected. He was not aware though that the passenger train had stopped short of the track circuit, which would have reminded the signalman of its presence and prevented him accepting the following train into his block section. The scene of the 1948 Winsford accident. Following the completion of his traffic apprenticeship, Ray took on a number of increasingly large roles as a goods agent for British Railways. Kidderminster Goods Yard (goods shed on right) photo taken just after BR had vacated the yard (Geolocation image). Initially, he worked at Leigh in Lancashire and then was moved to Kidderminster in Worcestershire. Freight traffic there was mostly agricultural, and coal traffic from the collieries of Alveley and Highley were the principal sources of revenue. In the late forties, freight was still moved by canal as well as by rail, and in 1947 the canal system was nationalised. The railway also used the canal system to move freight, particularly coal. Ray recalled on his first day a barge captain from the Staffordshire and Worcestershire Canal coming into the office to introduce himself and with a question, turning around on hearing him enter Ray described seeing a person straight out of the Treasure Island novel by Robert Louis Stevenson. Ray said all he needed was a parrot on his shoulder! All text on this page below here is still under construction, please check back soon! In September 2013, GWR 2-8-0 no. 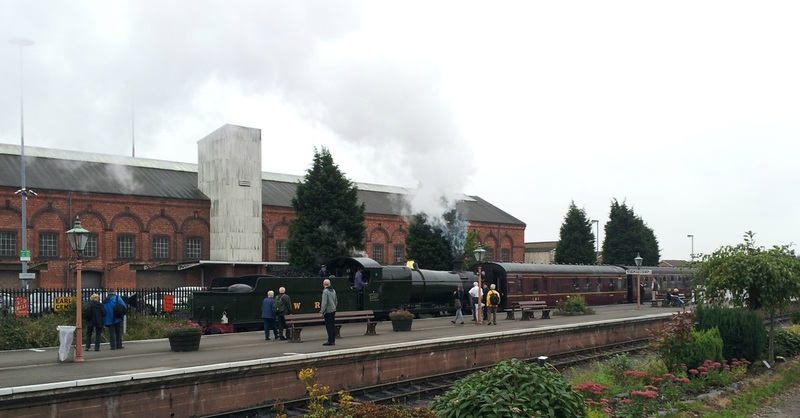 2857 leaves Kidderminster Station, the former goods shed is behind. From Kidderminster, he moved to Chelmsford in Essex as the Good Agent for that area.